On Wednesday morning, Neal Allison from Osborne Property Services visited the school to talk to Band 2 and Band 3 children about the dangers of entering building sites. Children had the opportunity to try on safety equipment before watching a short film that highlighted the dangers of entering a building site. 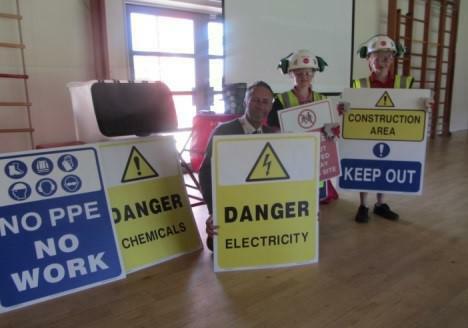 The children will now be designing posters back in class to relay this important message with winners receiving prizes and the chance to have their design displayed on building sites around the local community!